If you’re wanting to burn fat quickly then intervals should be included in your workout plan. They’re short , sharp and straight to the point. In this beginners guide to interval training we’ll tell you all about this method of exercise and give you a breakdown of our favorite interval training systems to try. Until interval training became popular, the only cardio training program used on a regular basis by gym-goers was continuous training . This is simply sticking to a moderate intensity for a prolonged period of time. Boring and pretty unproductive. It was also a pretty inefficient way of fat burning too . Intervals are different. The idea behind this training system is pretty straight forward – periods of time where you work hard, followed by periods of recovery. Repeat. It can be performed using different cardio modes such as running, biking, swimming or cross-training. You can even incorporate body weight training or weight training exercises too. It’s a pretty flexible workout system that doesn’t require a gym membership. The key factor is the intensity – everything else is down to goals and preferences. Studies have shown that interval training can help you shed fat and improve cardiovascular fitness. Not only that, it’ll drastically improve your metabolic health too – your risk of cardiovascular health, type 2 diabetes and blood lipids will all decrease. This method of training is probably best known for its effects on metabolism. Not only are you burning a high amount of calories during the workout, you’ll continue to burn calories afterwards. This is referred to as the ‘excess post-exercise oxygen consumption (EPOC)’ effect, or simply the ‘afterburn effect’. Studies show that exercising at intensities below 70% of maximum heart rate have little to no EPOC effect, whereas exercising above 80% can increase metabolic rate for over 10 hours . Before starting it is recommended that you complete a full warm up. This could involve gradually raising your pulse and body temperature through light cardio movements – perfectly using the same movements you’ll use in the main workout. You could do a light jog before a sprint session for example. Once you’ve done that you should complete some dynamic, mobility-based movements that should gradually take the muscles you’ll use in the main workout through a full range of motion. The warm up is a great way of priming your nervous and muscular systems, and triggering energy stores for the workout ahead. You might be concerned that working at high intensities might increase your chances of injury – but research suggests that musculoskeletal injuries are no more common in interval training than other forms of exercise . If you’re unsure about how an existing injury or illness could affect your ability to complete these sessions, consult your physician before taking part. It’s important when planning interval training sessions to consider a number of things. Think about what you want to achieve from the session and what your starting point is. The sessions should be challenging but you need to be realistic – if you are new to exercise or returning after a short break then work up in terms of difficulty. An injury or illness will just put your training on the back-burner so be cautious. You can always make it harder next time. This is a nice place to start as it’s not as intense as the other interval sessions – it suits those who are new to this method of training or are returning after a prolonged break. You firstly need to find your work and recovery intensities. The work intensity needs to be around 70% of your maximum – you should be able to maintain this pace and just about hold a conversation. The recovery intensity needs to be as low as possible but still allows you to keep moving – running and walking work well together for example. It doesn’t matter how long your work interval is, but the recovery period has to be either equal in time or halved – basically you’re working on a 1:1 or 2:1 ratio. Aim to complete a total of 5-10 work reps. Once they become easier you can either add more reps, increase your speed, increase the work interval length, or reduce the recovery period. This method isn’t strictly interval training as there’s no set time period between work and rest. Instead you have the freedom to vary the workout as you please. The name comes from the Swedish for ‘speed play’ and combines continuous training with occasional intervals. It’s an unstructured workout and very much up to you when you change the pace or effort. As you can see – the style, speed and intensity changes on a regular basis – remember you’re in control of what you do and when you do it so literally make it up as you go along. The only things you might want to plan in advance are what equipment you need, how long you want the session to be and how hard it will be overall. That’s it. These are not like normal intervals – they’re not as intense and they’re much longer in duration. Don’t let that fool you though – these are intense. You’ll pick an intensity that’s around 80% of your maximum. Once you’ve done that, maintain it for 3-5 minutes. Pretty tough to do. For your recovery you’ll not reduce the intensity to complete rest – instead you need to continue moving, preferably just above a moderate intensity – around 70%. Do this for 3-5 minutes as well, making the session a 1:1 ratio. By not allowing complete recovery, you’ll increase the amount of lactic acid in your blood quite quickly. Whilst this makes the session tough and uncomfortable, it’s a great trigger for anabolic hormone release  – namely growth hormone (GH) and testosterone (T). Both of these hormones increase the fat burning effect by a process referred to as partitioning. Sprints of 30 seconds and longer can boost GH levels by 450% . You can also expect an increase in T levels by over 90% . This one’s been used in sport science since testing since the 1970s and is specifically completed on a bike. For this session you’ll complete 30 seconds at maximum effort, followed by 4 minutes of recovery. We suggest that the recovery needs to be as low as possible but don’t stop completely as you’ll find it hard to get going again. Repeat this 4-6 times per session and aim to complete 3 sessions per week. 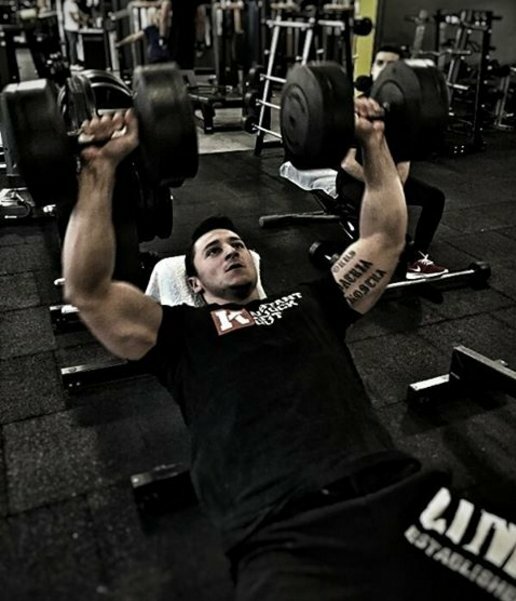 Whilst you only complete 30 second high-intensity reps, they soon add up. Add that to the 15-20 minutes of low-intensity recovery exercise and you can see how time efficient this protocol is. This is the training system that started the ‘high-intensity interval training’ (HIIT) revolution off. It’s a very short, 4-minute protocol – but don’t let that fool you, it’s one of the toughest intervals sessions you’ll ever complete. In 1996, Izumi Tabata from the National Institute of Fitness and Sports in Tokyo, studied the effects of HIIT on his undergraduate students . He asked his volunteers to complete 8 maximal-effort cycles of jump squats – each interval lasted only 20 seconds, but the recovery lasted a mere 10 seconds. The results of the study reported that the volunteers spent 13.4kcal per minute, leading to a metabolism that doubled from the pre-exercise period. They also improved their maximal fitness too. Interval training is characterized by periods of hard work followed by periods of rest or recovery. It is a very time-efficient way of burning fat that will boost your metabolism and excess post-exercise oxygen consumption levels much higher than continuous training. There are a number of different methods of interval training, each with their own specific intensities, time frames and work to rest ratios. The beauty of this type of training is that it’s productive and versatile. It’ll guarantee results fast.